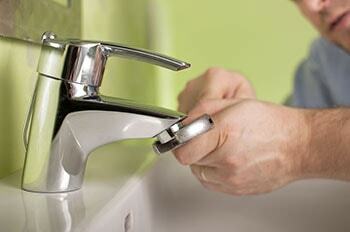 Bathroom plumbing fixtures are the most important part of any bathroom. These include the toilet, sink, shower and tub. With so many options, ranging from opulent to modern to budget-friendly staples, it may seem overwhelming to know to choose the right bathroom fixtures for your budget and needs that will get the job done. When planning your bathroom plumbing, take these bathroom plumbing fixture styles and trends into consideration. The bathroom fixtures you choose will have a big impact on your finished room. If you want to know how to choose the right bathroom fixtures, consider your budget and also your tastes and preferences. If you prefer a relaxing mist, you may want to have body sprayers placed throughout your shower. Rain shower heads, on the other hand, give you the calming feeling of standing beneath a waterfall. Think about effects a handheld, a dual mount, wall mount, and other types of combinations will achieve. These bathroom plumbing fixtures serve as a focal point, and can be as ornate and colorful or simplistic and minimal as you want. Some prefer deeper, under mounted sinks, or the timeless and space saving pedestal style sinks. There are various materials they can be made from as well, including even glass. Today’s faucets are also highly functional and stylized. They can even be mounted to the wall instead of the sink as done traditionally, for a unique and hypermodern stylistic twist. When it comes to knowing how to choose the right bathroom fixtures, these are amongst the most important bathroom plumbing fixtures. Taller commodes are in vogue, as they are more comfortable for adults and more accessible to those who require assistance than the traditional shorter toilets. Toilets are available in a diverse range of colors and designs. You can spend anywhere from a few hundred dollars to a few thousand, depending on how ornate its design is and how expensive the materials used to construct the toilet of your choice. This entry was posted on Thursday, March 17th, 2016 at 1:41 pm. Both comments and pings are currently closed.